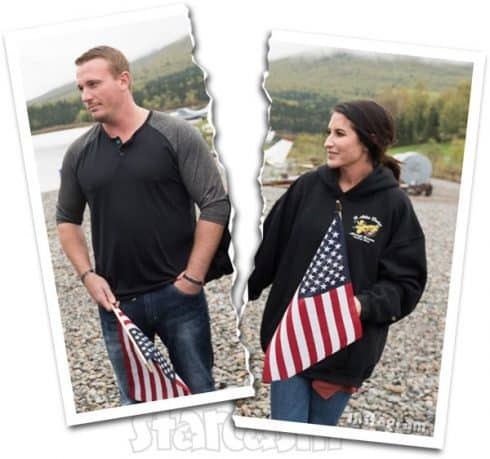 Teen Mom OG‘s latest addition Bristol Palin recently divorced her husband of two years Dakota Meyer. The pair, who have two children together, initially called off their wedding in 2015, but decided to go through with their marriage the following year. The MTV reality show will delve a bit into the break-down of their relationship and their efforts to co-parent daughters Atlee Bay & Sailor Grace, and Bristol’s son Tripp from a previous relationship. 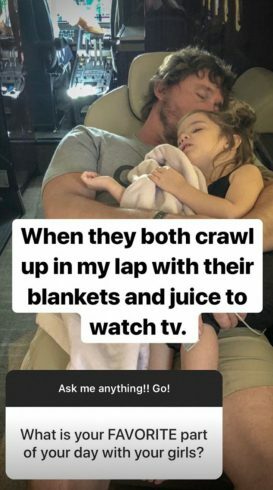 Dakota feels like the reality show is something he was “forced” into doing, the Marine war veteran revealed on an Instagram story Q & A this weekend. However, he’s since warmed up to the idea of presenting his live with his ex-wife in such a public way because he sees it as an opportunity to raise awareness and information about mental health issues. “It’s not something I ever wanted to do I was kind of forced into it but what I’m going to do, after meeting the crew and how incredible they are, I’m going to use the platform to show and shed light on living with PTSD, anxiety and having a family, and what that looks like and try to help and make the world a better place,” he explained. While Dakota may have been reluctant to join reality TV, he does currently have a regularly update his YouTube channel, which has 25k subscribers at the time of this writing. Dakota also opened up a bit about why his relationship with Bristol failed. 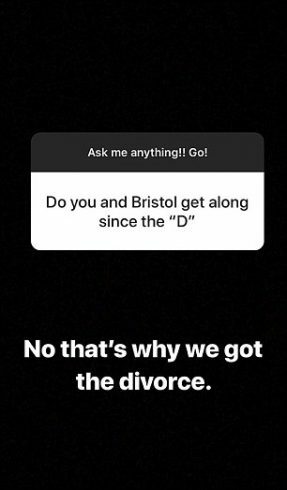 Someone asked if he and Bristol still get along after their divorce, and his answer was pretty blunt. “No, that’s why we got the divorce,” Dakota said. 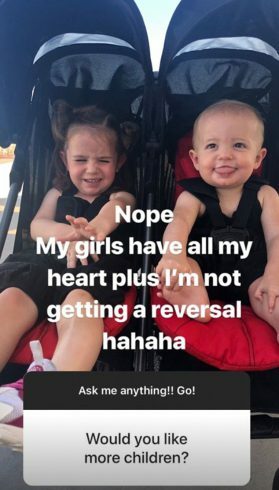 Tuesday morning Bristol appeared on Good Morning America, where she explained that she hoped to use Teen Mom OG as a platform to show that “life doesn’t end after a divorce . . . I hope that people can see that and continue living and continue to chip away at life.” She says she’s been a huge fan of the Teen Mom girls’ stories “forever” and is happy to find any platform where she can relate her life to the lives of others. Should Bristol Palin be judged as harshly as MTV’s Teen Moms? PHOTOS Tyler Baltierra’s mom gets married!